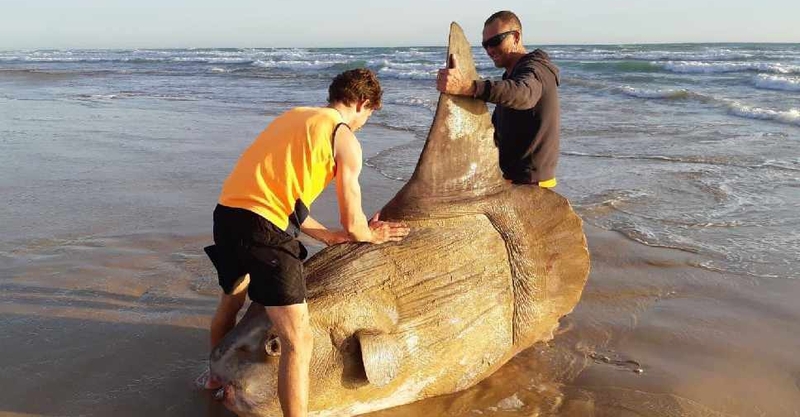 A rare giant sunfish has washed on an Australian beach. The sea animal was found by two fishers at the mouth of the Murray River in South Australia. Giant sunfish are the world’s largest bony fish and can weigh more than a car. They eat jellyfish and are found in oceans around the world. They are known to cause damage to yachts when they bump in to them in the water.